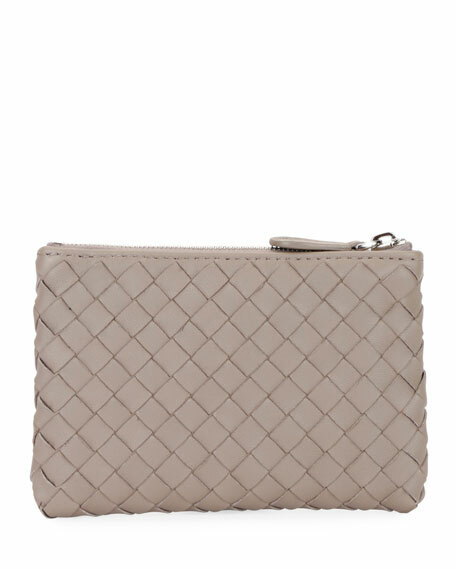 Bottega Veneta key pouch in signature intrecciato woven lambskin. Interior, leashed key ring and fabric lining. 3.5"H x 5"W x 0.5"D; weighs 1.9 oz. Bottega Veneta leather charm in cat silhouette. Signature brunito brass hardware. Dog-clip clasp. Made in Italy. Bottega Veneta signature intrecciato woven leather key chain. Golden hardware. Hanging logo charm. Key ring. Pocket-sized. Approx. 5.3"L x 1.5"W.
Bottega Veneta signature intrecciato woven leather key chain. Golden hardware. Hanging logo charm. Key ring. Pocket-sized. Approx. 5.3"L x 1.5"W. Made in Italy. 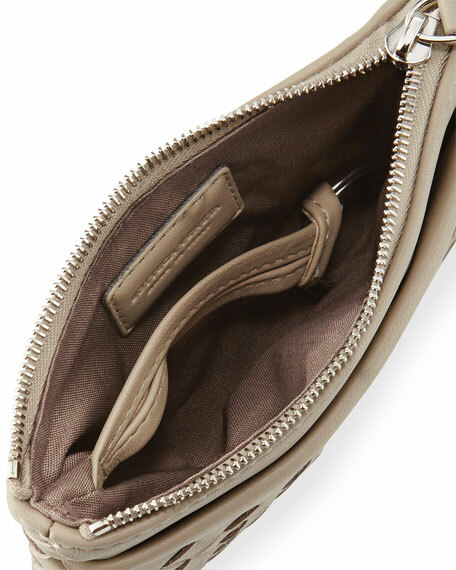 Longchamp nylon pouch with leather trim. Nickel hardware. Zip top with logo disc pull. Logo patch on front. 4"H x 7"W x 3.3"D. "Le Pliage Néo" is imported. MCM logo-embossed mini key pouch bag in coated canvas. Chain/key ring. Zip top closure. Napa leather lining. 3.5"H x 5"W.
MCM logo-embossed mini key pouch bag in coated canvas. Chain/key ring. Zip top closure. Napa leather lining. 3.5"H x 5"W. Imported.